The Electoral Registers above and below date from 1930 and 1938 and show members of the Digby family living in Sonning Street at the time. The map dates from 1946 and shows WW 2 bomb damage in the area. 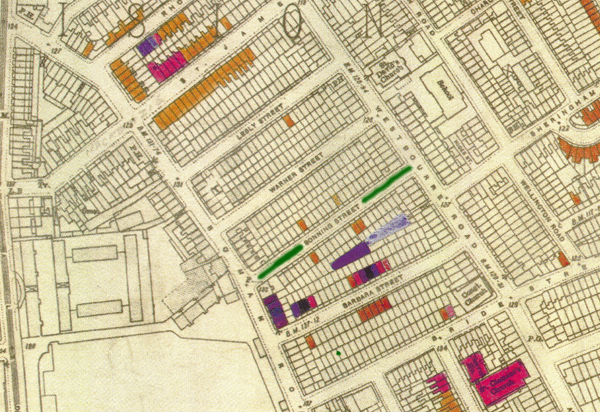 Sonning Street is in the centre marked green. Although not damaged during the war the whole area was redeveloped in the 1960's. The Digbys moved to Kew in Surrey in 1939.